Home » Wild Coffee Species Threatened by Climate Change & Deforestation. Triggered by climate change and deforestation at least 60% of wild coffee species faces extinction. The coffee industry is dominated by two coffee bean varieties, arabica (Coffea Arabica) and robusta (Coffea Canephora). Decades of research have recently shown that 60% of all coffee species are at a high risk of extinction. Disease, climate change (which is causing lengthy droughts) and deforestation are the biggest threats. This causes a huge potential threat to the multi billion dollar industry which the most consumed coffee on the planet arabica it’s wild strain is among those now recognised as engaged, this threats the diversity and viability of future coffee plants and beans. The genetic diversity needed in coffee within some of the 100’s of wild species could help breeders to improve commercial plants which face these threatening futures. 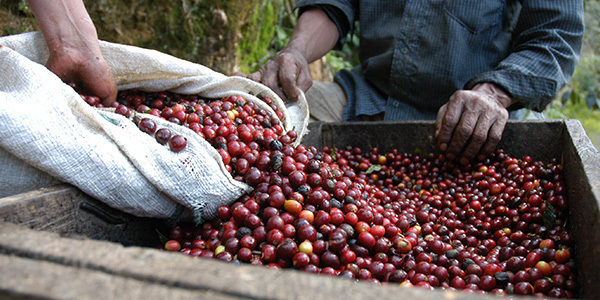 Robusta is sensitive to drier soils and arabica susceptible to high temperatures. Being able to improve the viability of the commercial plants is hugely important for sustainability of the future of coffee farming in which 125 million people worldwide depend on coffee for their livelihoods. It’s clear to see although more needs to be done in the face of these threats in regards to deforestation and plant/seed banks putting more of these wild strains of coffee away we as everyday consumers must look upon ourselves when it comes to climate change too. Not just to save our coffee but to save our planet for future generations to also enjoy a latte. Stop Neglecting Your Coffee Grinder! previous post: Best Bean To Cup Coffee Machine Options 2019! Best Bean To Cup Coffee Machine Options 2019!